(Gloucester Township, NJ) – The Camden County Animal Shelter has become the only open admission animal shelter in the region to achieve a 91 percent animal save rate in 2017. Specifically, the save rate was 92 percent dogs and 91 percent cats. 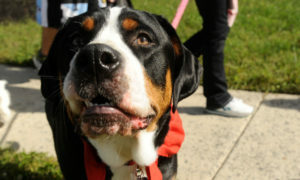 By comparison, in 2009 the shelter’s save rate was 73 percent for dogs and 46 percent for cats. The goal of achieving a live release rate over 90 percent is an initiative driven by a collaboration of many leading national animal welfare organizations. The Camden County Animal Shelter partners with national animal welfare agencies to learn best practices and lifesaving programs. Based on the lessons learned, the progressive lifesaving measures the shelter has implemented resulted in a 7 percent live release increase from 2016 to 2017. 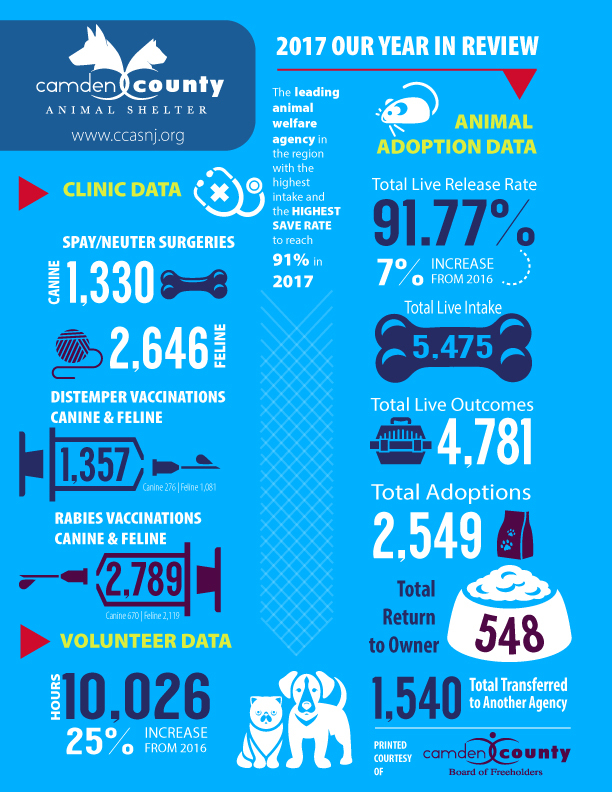 A total of 1,540 animals were transferred out to other rescue agencies in 2017, an increase of 37 percent or 417 more lives saved. In addition, the foster care program and our dedicated volunteers increased care capacity to save more lives. This ordinance authorizing TNR programs creates a safety net for both the cats and the community. As fewer kittens are born, the community cat population is reduced. It is estimated that there are somewhere between 1.3 and 2 million stray and cats in New Jersey. In Camden County, this represents approximately 123,000 cats, almost 25,000 of which are estimated to be considered as stray or feral. The Camden County Animal Shelter services provide shelter for stray/unwanted animals, find those animals loving homes, and offer low-cost spay/neuter services. Camden County Animal Shelter’s mission is to end companion animal homelessness in Camden County through community awareness and responsible ownership. Visit www.ccasnj.org for more information about statistical reports.